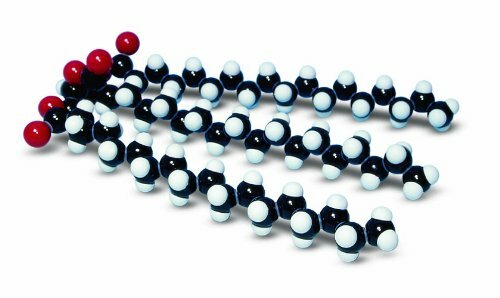 The self-assembly fat (glycerol tristearate) molecular model provides a great visual display. The model kit builds on fat (glycercol tristearate) molecule and includes 173 atom-parts, 65 NV links, and 1 tool. Use the model kit to teach the molecular structure of fat.